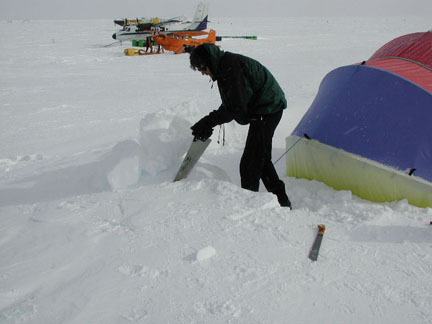 Doug Stern demonstrated how to build an igloo. 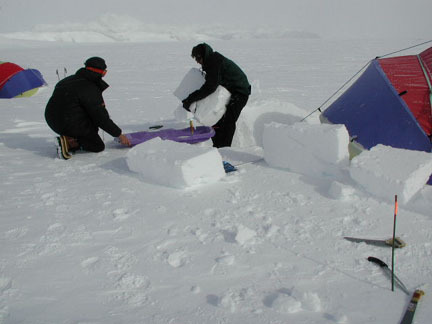 We helped by cutting many of the blocks from the frozen snow. 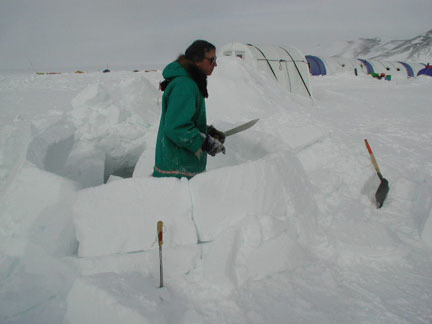 Doug is building the base of the new igloo adjoining the old one. 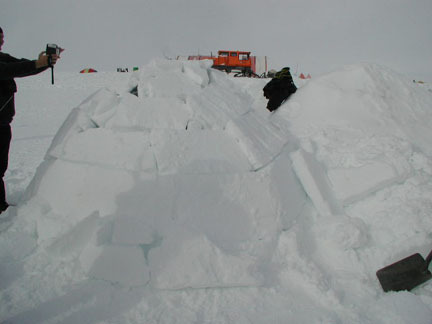 Blocks of frozen snow are being cut. 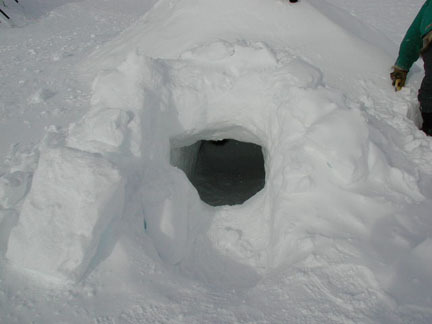 Entrance to the old and new igloo. 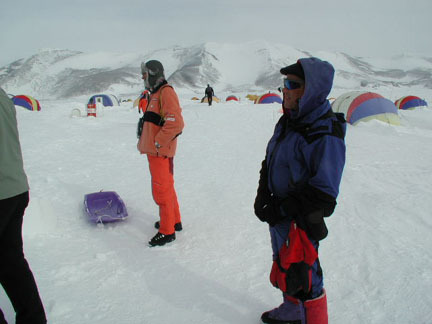 Moving the blocks to the igloo. Helpers taking a short break. 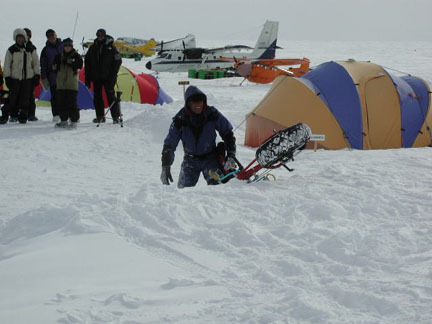 Vernon Tejas gets up after taking a spill on Doug Stoup's special Snow bike. Repairing the Dining tent floor. 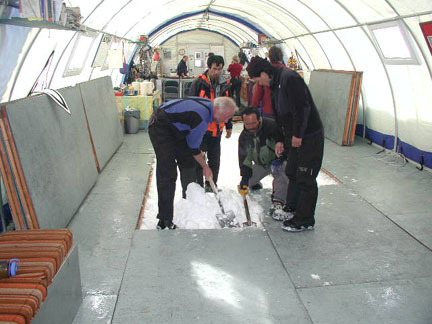 The center of the floor sinks as the snow is compressed from the weight and warmth. 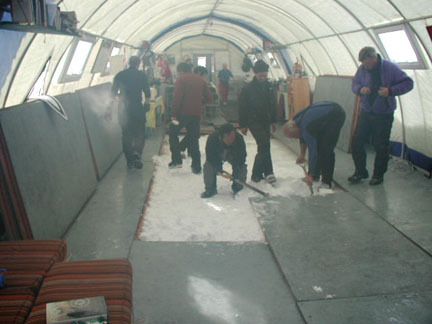 More snow is added to raise the center, and level the floor.